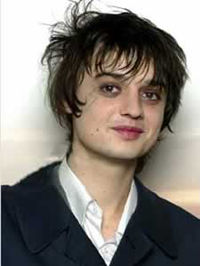 British rock singer Pete Doherty was arrested on suspicion of possessing drugs and released without any charges for authorities had failed to get him to court on time. Doherty, 28, who has been undergoing court-ordered rehabilitation treatment, had been charged with breaching his bail conditions. But the charge was dismissed because he had not been brought to court within 24 hours, prosecutor Anjulika Vatish said. "The court has no jurisdiction to deal with this matter any more," she said at West London Magistrates Court. Last week, a judge warned Doherty that he must prove his desire to quit drugs within a month or face a jail sentence for previous offenses. Doherty, best known as the on and off boyfriend of model Kate Moss, has pleaded guilty to several past drug offenses.